Wouldn’t running be more fun if you could stop for chocolate along the way? That’s the philosophy behind The Chocolate Race, which takes place this weekend on Ontario’s Niagara Peninsula. With 5K, 10K, and 10-mile walk/run categories, the race has a chocolate dipping stop en route, where you can refuel with fruit or marshmallows dipped in chocolate. 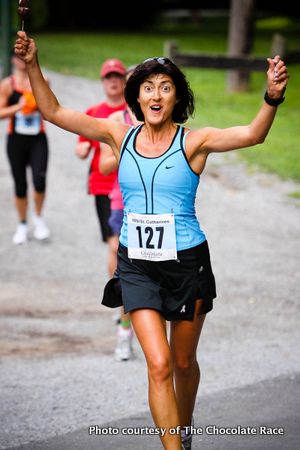 According to race organizer Diane Chesla, herself a runner, the inspiration for The Chocolate Race was simply to make running more fun. And of course, chocolate tastes good! 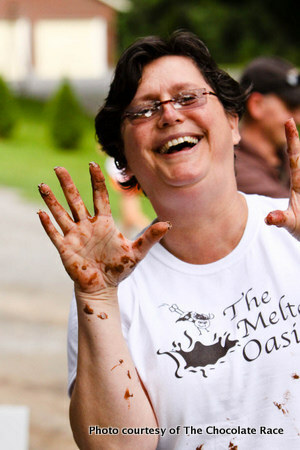 Though the race drew nearly 1,000 participants last year, and there are prizes for the top contestants, The Chocolate Race is a charity event, rather than a hard-core competition. 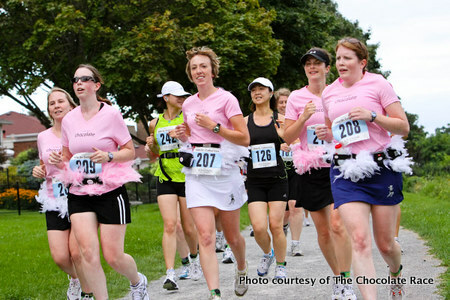 This year’s Chocolate Race takes place in the Port Dalhousie district of St. Catharines, Ontario, on Sunday, August 28, 2011. The 10-milers start at 8:45 a.m., the 10K runners at 9, and the 5K group at 9:15. The day before the race, August 27, is Sugar Mama Saturday, with the “Sweat Couture Show” (featuring clothing for yoga, running and walking), chocolate-martini pairings, and for the runners, race kit pickup. 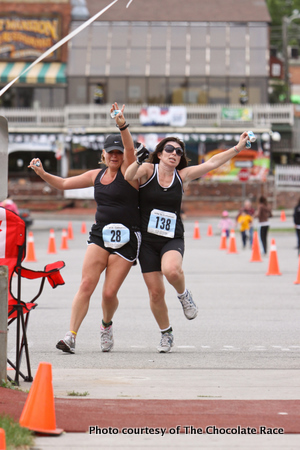 Get all the details at The Chocolate Race website. And don’t forget to lick your fingers! Readers: can you recommend other any races or events that pair food and exercise? Please leave a comment and let us know. 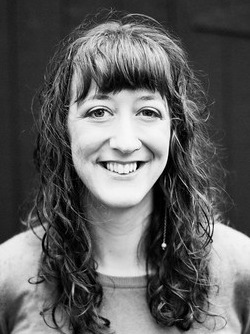 And if you’re a food blogger, join the fun! Here’s all you have to do to link your post to WanderFood Wednesday. All photos courtesy of The Chocolate Race.